Cut broccoli florets from the stalk. Peel the stalk and slice into 1/4-inch slices. Mix florets and stem pieces with extra virgin coconut oil in a bowl and transfer to a baking sheet; season with salt and pepper. 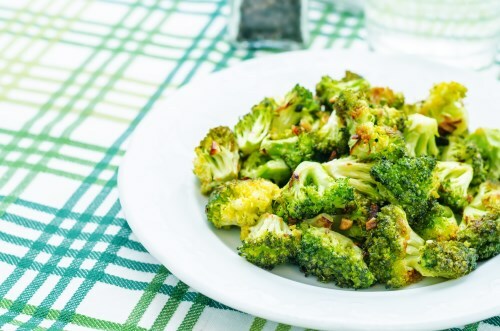 Roast in the preheated oven until broccoli is tender and lightly browned, about 18 minutes.